Around the world, military and navy veterans are dying from mesothelioma (a rare kind of cancer) contracted from exposure to asbestos whilst they were on military service. But rather than aiding war heroes, laws are threatening to prevent veterans from accessing compensation. In the UK, veterans suffering from asbestos-related illnesses are £150,000 worse off than their civilian counterparts. This is because compensation restrictionsare protecting the UK Ministry of Defence (MOD) from being sued for illness and injury incurred by service personnel before 1987. In the US restrictions are being proposed on compensation for victims of asbestos under the FACT bill. How were veterans at risk? Asbestos exposure is linked to mesothelioma, an aggressive form of cancer that manifests most commonly in the lungs. Life expectancy following diagnosis usually ranges from 12 to 24 months. A Conneaut, Ohio elementary school was demolished in August and the Ohio Environmental Protection Agency (EPA) found evidence of asbestos in the debris. Inspectors arrived at the site a few days after work began to conduct samples, which tested positive. This demolition at Amboy School occurred without contacting the EPA. Requirements to alert the EPA before construction begins are in place to make sure any possible asbestos is found and removed according to safety regulations. One of the most chilling facts about asbestos is that harmful exposure to the dangerous substance can take decades to reveal itself, at which point conventional cancer treatments such as chemotherapy offer little hope to terminal patients. However, a new treatment developed by scientists at the University of Technology, Sydney in Australia has been shown to arrest the development of mesothelioma tumours, the cancer caused by asbestos exposure, in 60–80 percent of cases. Mesothelioma is an aggressive, incurable cancer that occurs after asbestos fibres become lodged in our lungs. The disease can take 20–50 years to present itself, at which point most patients sadly don’t have very long to live. The average lifespan after a diagnosis of mesothelioma is nine months, with chemotherapy only giving patients an extra three months in most cases. The new compound discovered by UTS researchers could offer a lifeline to those at risk. The reason asbestos is so dangerous is because lodged fibres can cause cells to die off by suppressing the operation of our immune system. The new treatment overcomes this mechanism at a genetic level, giving our natural defences a chance to start fighting back against the fibres. That’s the theory anyhow, but how effective is it? Well, it’s had an impressive run in pre-clinical lab trials so far. With testing on mice exposed to asbestos, the compound stopped the development of mesothelioma tumours in 60–80 per cent of cases. The researchers are currently applying for a patent and are looking to bring on board a pharmaceutical manufacturer, with hopes a treatment could be available on the market within five years. A Kiwi professor has developed a new treatment that has already saved one man’s life and could possibly help thousands more defeat mesothelioma – an aggressive cancer caused by exposure to asbestos. The disease results in death shortly after diagnosis. ADRI researchers teamed up with a Sydney-based biotech company, EnGenelC, to use a “futuristic new drug delivery system that relies on nanotechnology and guiding antibodies.” Using animal models, human mesothelioma tumors have been treated with antibody-guided minicells containing microRNA mimics – a combination dubbed TargomiRs. 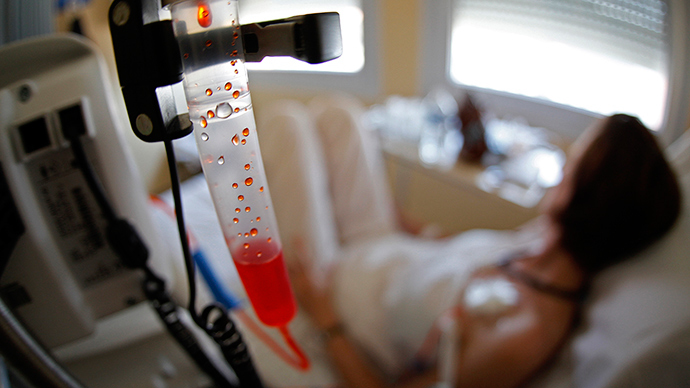 “We have found an amazing inhibition of tumor growth. The results were far in excess of what have been seen with other experimental therapies in this model, and we are very excited about it,” ADRI senior researcher Dr Reid said. Putting the microRNA inside nanocells was pretty much like using a Trojan horse, Dr Reid told ABC Australia. An Illinois federal judge has barred a plaintiff alleging asbestos-induced lung cancer from relying on the any exposure theory at trial. Judge John Z. Lee delivered the Dec. 22 opinion in the U.S. District Court for the Northern District of Illinois, rejecting the any exposure theory. Defendants Crane Co., ExxonMobil Oil Corporation, Owens-Illinois, Inc., and Marley-Wylain Company requested the court to exclude the any exposure theory and to bar plaintiff Charles Krik from calling certain witnesses at trial who plan on relying on the any exposure theory in their testimonies. Krik claims he developed lung cancer as a result of asbestos exposure and sought to present testimony from experts Dr. Arthur Frank, Dr. Arnold Brody and Frank Parker, who intended to testify that each and every asbestos exposure caused the claimant’s lung cancer. While the court denied the defendants’ motion to bar certain witnesses, Lee granted their request to exclude the any exposure theory. He concluded that Krik failed to establish that the any exposure theory is sufficiently reliable to warrant admission. The court applied the Daubert factors when determining the issue of asbestos injury causation. Krik, on the other hand, claimed the methodology used in the any exposure theory was proper. He argued that Illinois law does not require plaintiffs to quantify their individual exposure levels in order to establish causation. Lee wrote that even though Krik and his experts have acknowledged that asbestos-induced lung cancer is a dose-responsive disease, the plaintiff still intended to have his experts testify that any exposure to asbestos, regardless of dosage, is sufficient to cause an asbestos related disease. Lee also notes that Krik failed to offer any expert testimony explaining how much asbestos exposure he actually experienced and whether the dosage was even sufficient enough to cause his disease. Instead, the claimant relied on the any exposure theory to prove causation for lung cancer, a disease with many causes ranging from asbestos exposure to cigarette smoke. MORE than a dozen deaths in a Melbourne suburb have been blamed on an asbestos factory where children once played in piles of the deadly dust. But the catastrophic effects of the Wunderlich factory in Sunshine North have not been revealed to residents despite owner CSR paying compensation to victims. 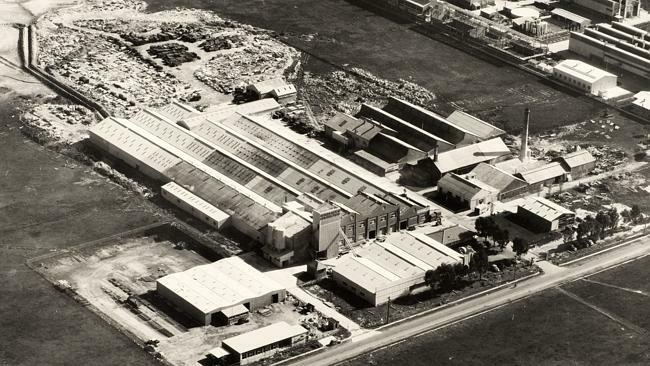 A five-month Sunday Herald Sun investigation can today reveal the tragic toll of Melbourne’s “factory of death”, which shut in 1983. At least 16 people who grew up within 1km of the plant — none of whom worked there — have died of asbestos-related diseases, the latest on Thursday. Another eight are known to be sick. Residents said that on some days asbestos would swirl in clouds above the suburb and a white powder would cover windows and car dashboards in the factory’s peak years from the 1950s until the 1970s. Allan Brander grew up in a street north of the Wunderlich factory and spent many weekends riding his bike over hectares of waste. “The disease ate him alive. If I grew up there I’d be concerned about my health now,” Mr Brander said. There is new evidence that some wine-making practices could increase the chance of developing malignant pleural mesothelioma. 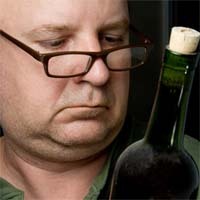 Italian researchers are reporting the first case of mesothelioma in a person whose only known exposure to asbestos was in the winemaking business. Drs. Nemo and Silvestri report that the asbestos exposure which probably triggered the man’s mesothelioma could have occurred during the mixing of dry chrysotile asbestos fibers into the wine as well as during the filter replacement. The researchers had to estimate the average level of the patient’s exposure and the cumulative dose since winemakers do not typically monitor airborne asbestos fibers. Asbestos lawsuits often involve construction workers and employees who were exposed to products that were packed with asbestos, but some asbestos lawsuits involve drilling mud. Although drilling mud itself does not sound particularly harmful, according to lawsuits filed by people who worked with the substance, asbestos was used as an additive to drilling mud, putting people who work with the mud, such as mud engineers, at risk of asbestos-related diseases. One such lawsuit was filed in Louisiana state court, but removed to federal court in 2013. That lawsuit (Bridges et al v. Phillips 66 Co. et al., case number 3:13-cv-00477) was filed by 10 plaintiffs who allege they were exposed to asbestos, including handling asbestos and breathing it in, while working for a variety of companies including Chevron Phillips Chemical Co., and Shell Oil Co. The plaintiffs further allege they developed illnesses related to asbestos exposure because of their work for those companies. They claim the companies knowingly used products that contained asbestos and, despite having information about the risks associated with using asbestos, continued to use those products. Asbestos exposure has been a highly contentious area of litigation. Over the course of a career, employees could be exposed to asbestos from a variety of employers and product makers. Furthermore, symptoms of asbestos-related illnesses may not arise for decades after the exposure. Among the illnesses linked to asbestos exposure are asbestosis, mesothelioma and lung cancer. 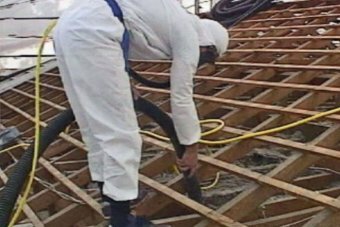 At least one Canberra family is grappling with a family member being diagnosed with asbestosis – the likely result of exposure to Mr Fluffy asbestos which they installed in their home in the 1970s – while other families are having health checks for potential lung damage. Meanwhile, anger over ACT government inaction on the issue is mounting among Mr Fluffy homeowners who believe their contaminated houses present a sleeping giant of potential cancer cases. The Mr Fluffy Owners and Resident’s Action Group – which has over 300 members since setting up last month – has provided a “community voice” section on its website to allow victims to express their fears without risking their anonymity. The home was part of the $100 million federal government remediation program in the late 1980s. Catherine said the family moved out in 2000 and the house was burnt down in the bushfires of 2003. Why Is Asbestos Still Killing People? Health fears associated with asbestos were first raised at the end of the 19th century. 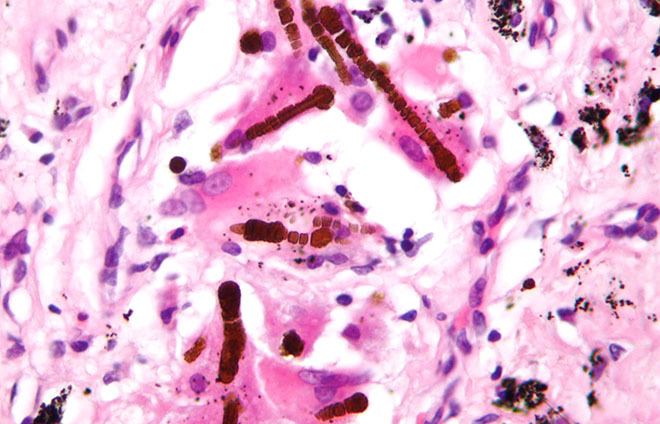 Asbestosis, an inflammatory condition affecting the lungs that causes shortness of breath, coughing, and other lung damage, was described in medical literature in the 1920s. By the mid-1950s, when the first epidemiological study of asbestos-related lung cancer was published, the link to fatal disease was well established. Yet in 2012, rather than falling, worldwide asbestos production increased and international exports surged by 20 percent. A full ban did not come into force in the U.K. until 1999, and the European Union’s deadline for member states to end its use was just nine years ago. Today, asbestos is still used in large quantities in many parts of Asia, Eastern Europe, and South America, while even in the U.S. and Canada, controlled use is allowed. The remarkable endurance of this magic mineral turned deadly dust is a complex tale. One of scientific deception and betrayal, greed, political collusion, the power of propaganda, and, above all, the willingness of some executives to knowingly subject hundreds of thousands of vulnerable people around the world to severe illness and even death in the pursuit of profit. You may not have to look hard to find asbestos where you live or work. Many buildings still have asbestos-based components, including pipe insulation, decorative coatings, ceiling boards, fireproofing panels, window in-fill panels, and cold water tanks. Research into precisely how asbestos causes mesothelioma and other forms of lung cancer is ongoing. The fibers are so small that most can only be seen under a microscope. Billions can be inhaled in a single day with no immediate effect, but longer-term the consequences can be deadly. The fibers can become lodged in the lining of organs such as the lungs, causing damage that interrupts the normal cell cycle, leading to uncontrollable cell division and tumor growth. Asbestos is also linked to changes in the membranes surrounding the lungs—the pleura—including pleural thickening, the formation of scar tissue (plaques), and abnormal collections of fluid (pleural effusion). This is the firm scientific consensus. But not everyone agrees. “One of the first things that strikes you when you look at asbestos is just how long ago it was discovered to be toxic,” says Geoffrey Tweedale, former professor of business history at Manchester Metropolitan University. Following a U.S. legal case in 1995, Tweedale and fellow historian David Jeremy obtained a copy of the T&N company archive. They studied the almost one million documents and Tweedale went on to co-write two books on asbestos and the industry. What this extraordinary collection of internal papers showed was how much some senior figures in the asbestos industry knew about the damage they were causing to their workers, and how their response was to launch a campaign of scientific concealment and distortion, and public misinformation that dates back over 80 years and continues today. In 1927 a doctor called Ian Grieve wrote a detailed study of the health of workers at the J.W. Roberts asbestos textile plant in Leeds. He used X-rays to confirm his evaluation that the hand-beating of asbestos mattresses for locomotives (to remove lumps) could cause asbestosis within five years. A government inquiry set up a year later found that a quarter of workers with five or more years of experience in asbestos textile factories had fibrosis, rising to half of those who had worked in the industry for 10 years. Regulations on dust control, medical surveillance, and compensation were introduced in Britain in 1931.